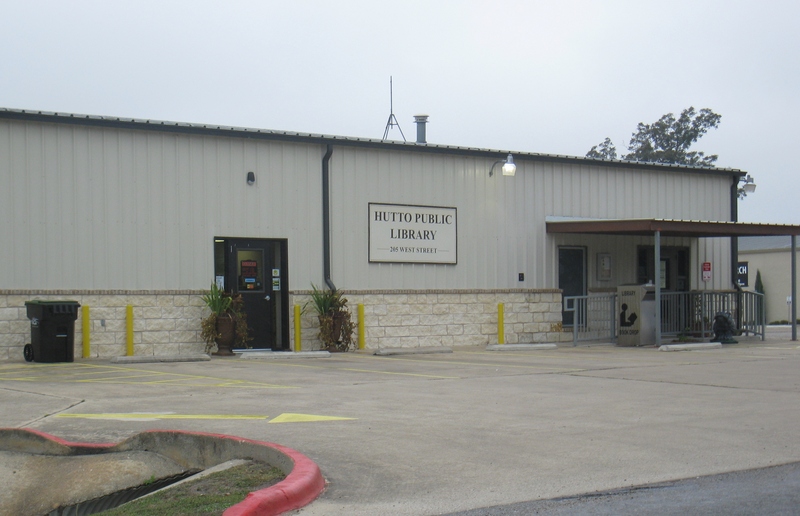 In November, my friend and critique partner Gale Albright presented a NaNoWriMo write-in at the Hutto Public Library, in Hutto, Texas. Nine writers and their laptops gathered to write for four solid hours, supported by snacks and coffee provided by the Library. Attendance was so robust that I had to scrounge* for a seat when I arrived. Late. 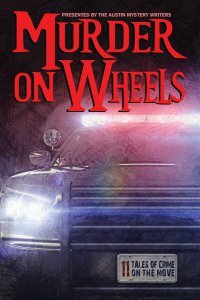 It would be trite to report that both writers and library staff expressed enthusiasm for the project. Nonetheless, that’s what happened, and I can’t pretend it didn’t. They were so enthusiastic, in fact, that I foresee a future write-in, even without NaNoWriMo to serve as an excuse. After the write-in, I drove around the city. 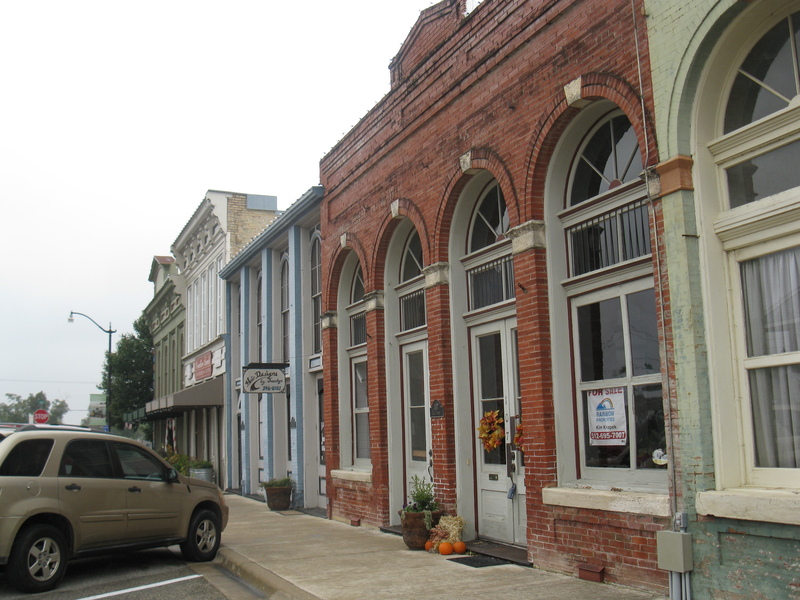 Originally settled by Germans and Swedes, Hutto still looks like a small town, but it’s changing rapidly. New subdivisions are going up all around. The library is a renovated fire station. A couple of years ago, the reading room was tiny; then a second bay was opened, more than doubling the space and providing room for an enlarged children’s area. 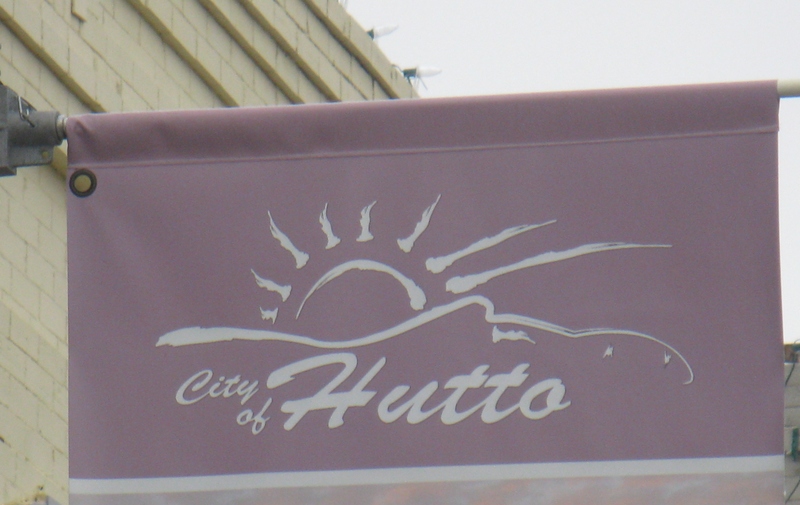 But what sets Hutto apart from other cities worldwide is its legend. You can read the whole story at How the Hippo Came to Hutto, on the Williamson County Historical Commission website, but here’s a summary: In 1915, a circus train stopped in Hutto to pick up passengers and to let workers care for animals. Somehow, a hippo got out of a railcar, headed for a nearby creek, took a dip, found the muddy water to its taste, and, no matter what trainers did to lure it out, refused to cooperate. Legend says the Depot Agent telegraphed two Taylor and Round Rock: STOP TRAINS, HIPPO LOOSE IN HUTTO. 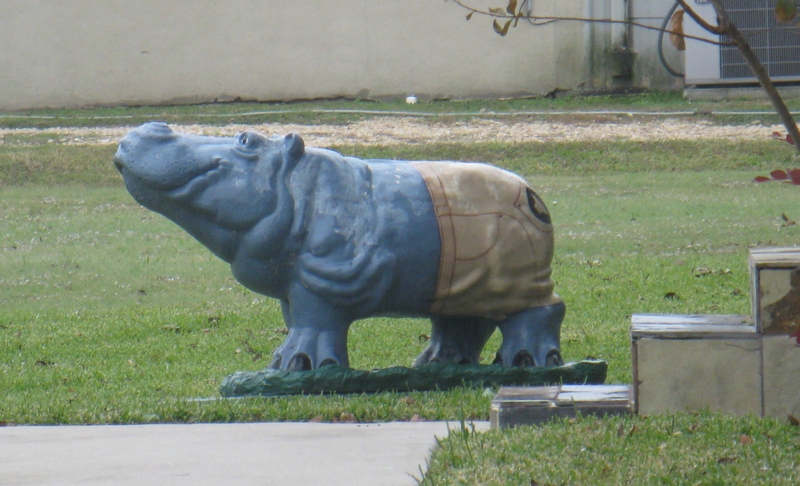 Somehow the hippo was returned to its railcar, but amused residents made his story their own. 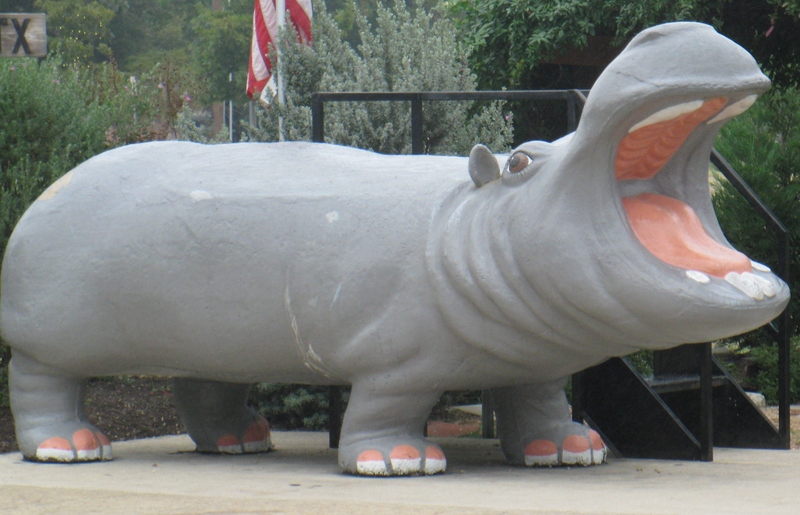 Soon afterward, Hutto School took the hippo as its mascot and the football team became the Hutto Hippos. 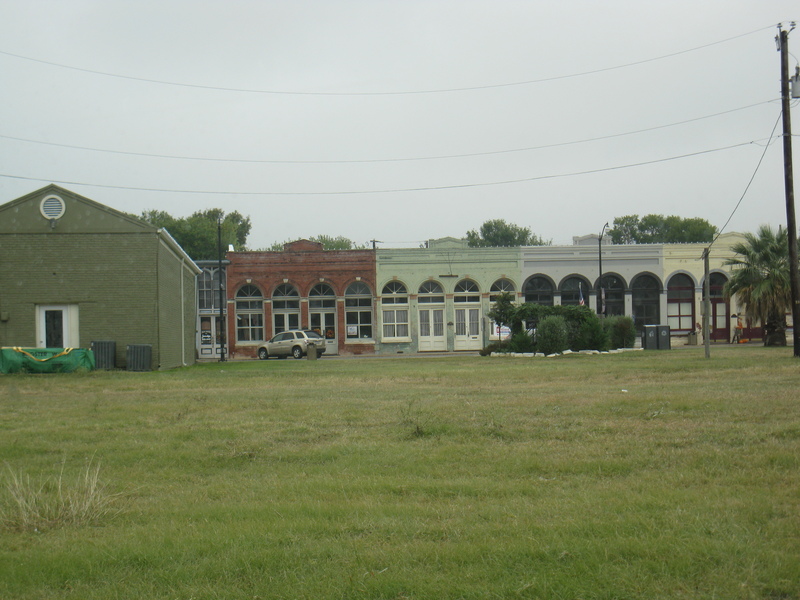 The largest stands near the Chamber of Commerce building. Another is exceedingly modest but also stylish. 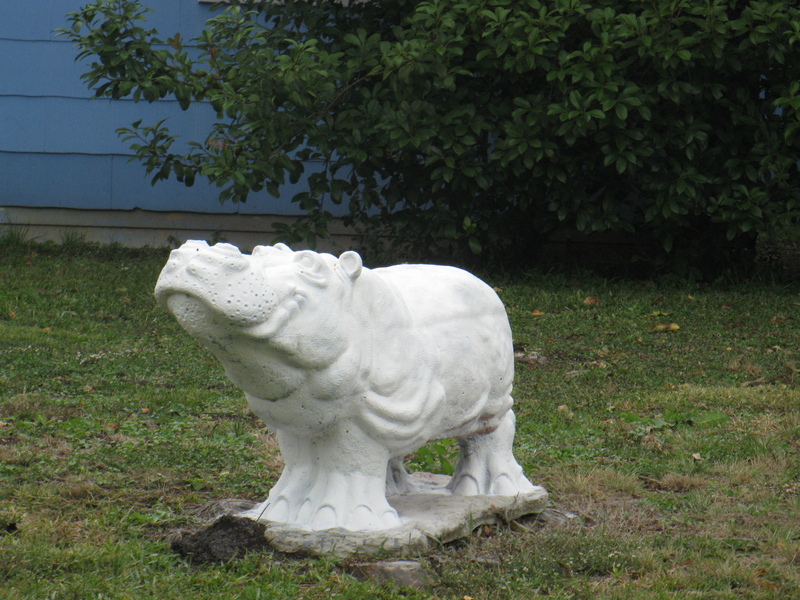 A fourth, like the Guard Hippo, enhances its original concrete with an overlay of alabaster. I wish I had taken more pictures of Hutto’s hippos, but drizzle had turned into rain, and I wanted to get home before rain turned into traffic problems. Suffice it to say there are hippos of every size and color all over town. A local artist can be commissioned to personalize hippos to the owner’s specifications. 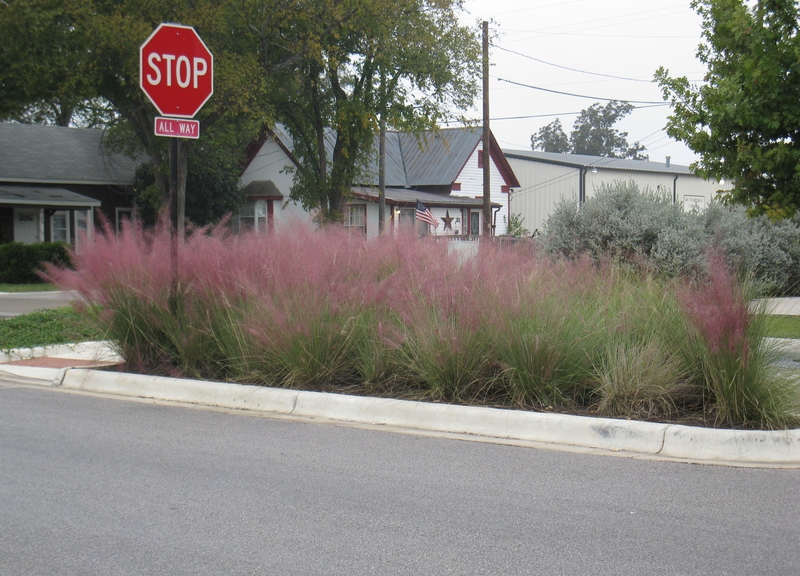 Hutto is a pleasant little place. In some ways, it reminds me of my hometown as it was when I was a child. 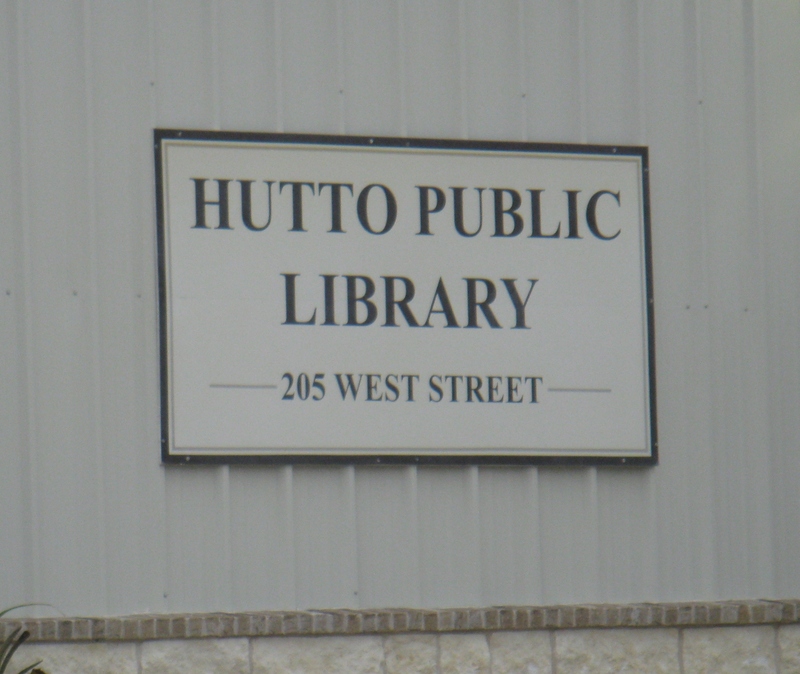 In short, I think Hutto would be a good place to live. As they say, three thousand hippos can’t be wrong. English: Photograph of Sophie Tucker (Photo credit: Wikipedia) Public domain. Turn up the sound and enjoy Sophie Tucker singing “Fifty Million Frenchmen Can’t Be Wrong.” Cole Porter wrote the lyrics. I hate to say it, but this is three thousand times better than the hippos. Sophie Tucker was quite a looker. I had no idea. Now I see what all the fuss was about. *Exaggeration. There were two empty seats. I love Hutto! I wanted badly to get a small concrete hippo for our granddaughter before we moved away, but her father wouldn’t hear of it. He thought it would be heavy and hard to move. Should have gotten one for myself! We miss the Texan Cafe a lot! I like your snow on this page. The snow is courtesy of WordPress. I think I can turn it off, but I like it, too. It’s the only snow I’ll see this year. I know! In his defense, it weighed about 300 pounds. Cement is pretty dang heavy. 300 pounds for a little bitty hippo? That’s almost as heavy as a real one. Well, “about” 300. It was too heavy for a person to lift, or even budge. And the Sophie Tucker song is hilarious! This here is a crazy country, isn’t it? No one else has ever done Prohibition. And other things. Crazy, yes. And Prohibition worked so well. But aren’t you glad Cole Porter came along to poke fun at us? My Early American Lit professor told us that a group of 17th century Protestant ministers had to ban the drinking of healths at their conferences because they drank so many healths, draining the tankards each time, that they ended up drunk. But otherwise they drank what they wanted. Maryellen’s grandmother (great-grandmother?) was Temperance. She went out every night hatcheting while her husband was sitting in bars. Ones his wife wasn’t hatcheting, I presume. She knew Carrie Nation. Mrs. Nation’s write-up in Wikipedia is fascinating. It contains this sentence: “Suspicious that President William McKinley was a secret drinker, Nation applauded his 1901 assassination because drinkers ‘got what they deserved. '” Goodness knows what she thought about T. Roosevelt; I suspect he was a public drinker. But her first husband died of alcoholism early in their marriage, so there you are. Your family is at least as colorful as David Sedaris’s. Lots of material! Write down all you can remember now, while you remember it. Trust me, a memory doesn’t last forever. Good advice. I failed to write down so many things. Regrets, regrets. A friend and I have agreed to get together so we can remember. So far we haven’t done it. I’m glad you like them. 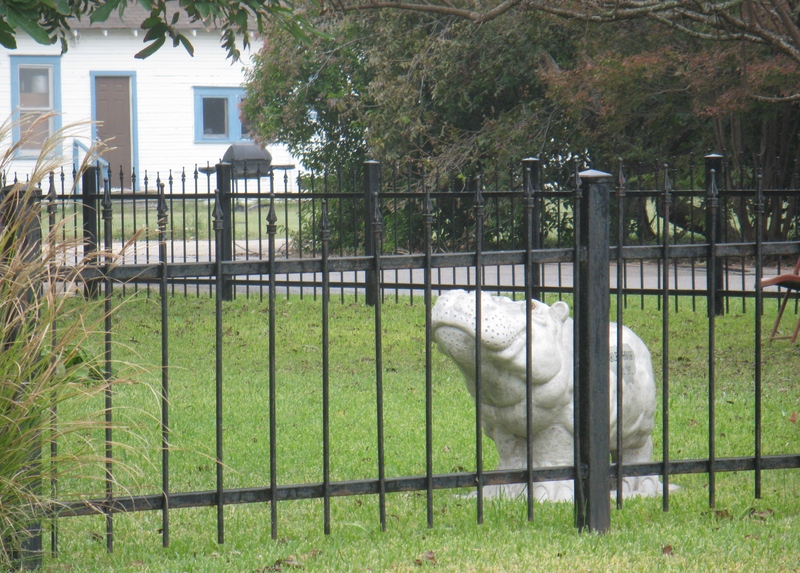 It’s fun to drive through town and see a hippo in front of nearly every house and business. I hadn’t thought about Sophie Tucker in forever. Used to see her on television occasionally, frequently with Georgie Jessel, I think.That was two or three years ago . . . It does. I like that in a town. Oh what fun. I would agree it must be a great place to live! Love your travelogue photo review!